We have packed the goodness of ancient Ayurveda in these 3 soaps. 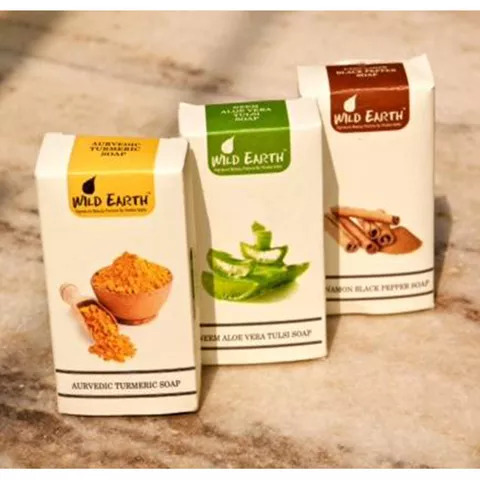 A set of three of our best Handmade Ayurvedic Soaps - Neem Aloe Vera Tulsi Soap, Ayurvedic Turmeric Soap & Cinnamon Black Pepper Soap. 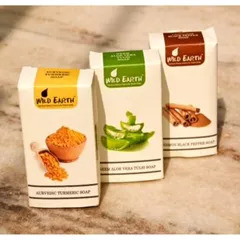 Each soap is of 100 gms each.